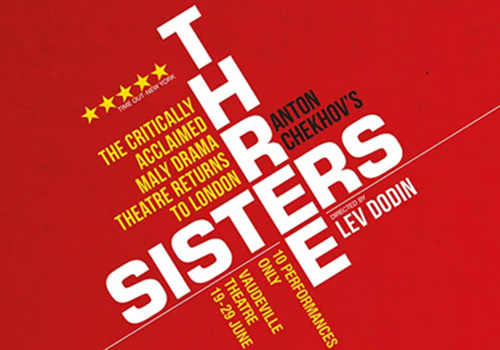 After 2018’s critically acclaimed production s of Uncle Vanya and Life & Fate, the Maly Drama Theatre of St. Petersburg return to London’s West End with a retelling of Chekhov’s play Three Sisters. Three Sisters, written in 1900, is often referred to as one of Chekhov’s masterworks, alongside The Seagull. The play centres around the Prozorov sisters – Olga, Masha, and Irina – as they contend with their disillusioned lives in provincial Russia. Three Sisters gives an insight into universal themes such as love and longing, passion, and resignation. Lev Dodin directs. The artistic director of Maly Drama, Dodin is the recipient of several awards including the first Olivier given to an international company, and a European Theatre Award. Three Sisters is certain to be a classical, thrilling evening at the theatre. The show runs for 10 performances only: 19-29 June 2019. This show is performed in Russian with English surtitles. The age recommendation for Three Sisters is 12+.